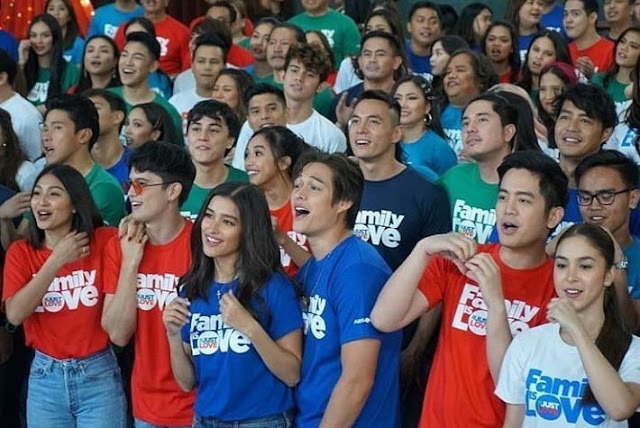 Aside from Christmas being the most wonderful time of the year, it's also the most anticipated time of the year for the Filipino showbiz fans, as we get to see all our favorite stars in the Christmas Station IDs of the country's two biggest networks. 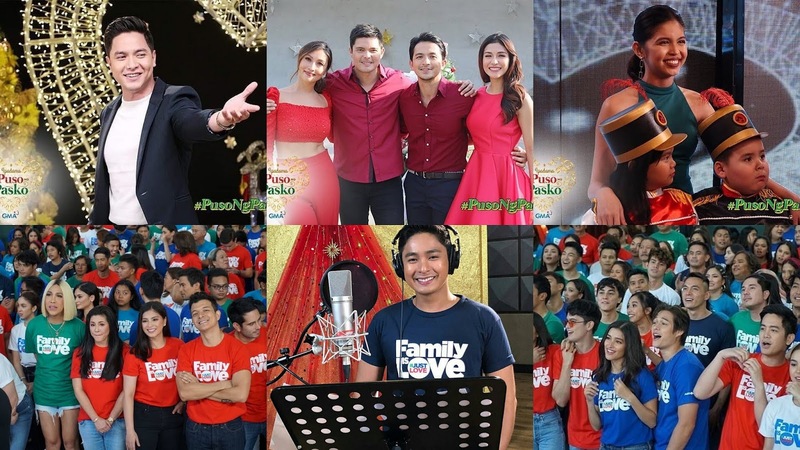 ABS-CBN continues to inspire with stories of Filipino families with their theme, "Family is Love," while GMA brings a heartwarming message of love for Filipinos around the world with "Puso ng Pasko." See the videos after the jump. Both are great videos and really describes the value and importance of Christmas to all the Filipinos - that Christmas is always better when spent with families, and that anywhere in the world, Filipinos can find a way to spend a good Christmas amidst being away from their families. Which station ID do you like better? Regine Velasquez joins the Kapamilya Station ID for the first time. This frame has some of the networks most sought after love teams. 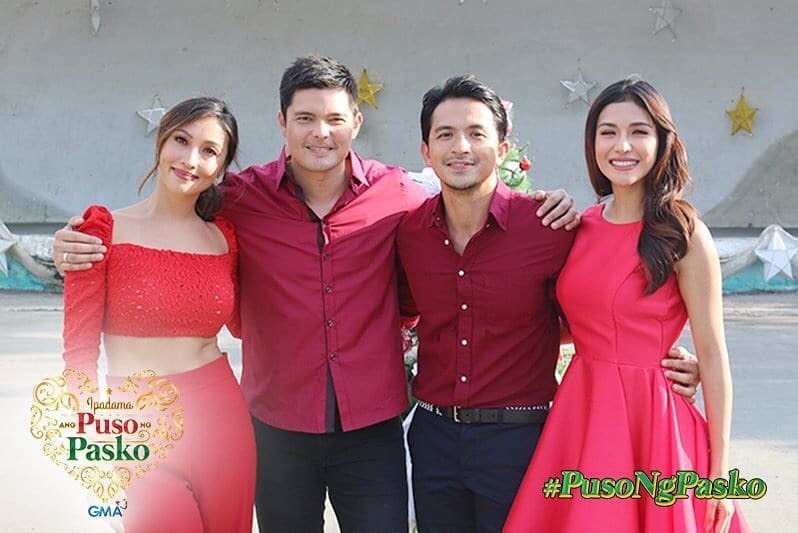 Kapuso royalties Dingdong and Dennis, with their Cain at Abel leading ladies, Solenn and Sanya. 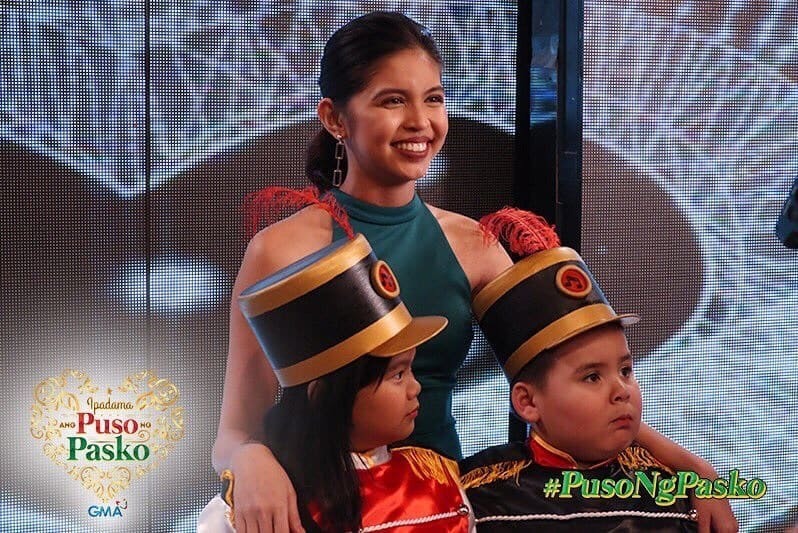 The still phenomenal Maine Mendoza with the cuties Ryzza Mae and Baeby Baste. For more updates, please follow my social media pages and channels. Is There a Happy Break Up? Photos and posts are owned and created by Jim Hernando unless stated otherwise. Simple theme. Powered by Blogger.